Jacques Cartier claimed land for the French. Quebec, which was founded by Cartier, became a large trading post for fur and fishing. These goods were shipped and traded in Europe for large sums of money. This was a main source of income for settlers. Missionaries of the Catholic church also came to New France to spread their religion. 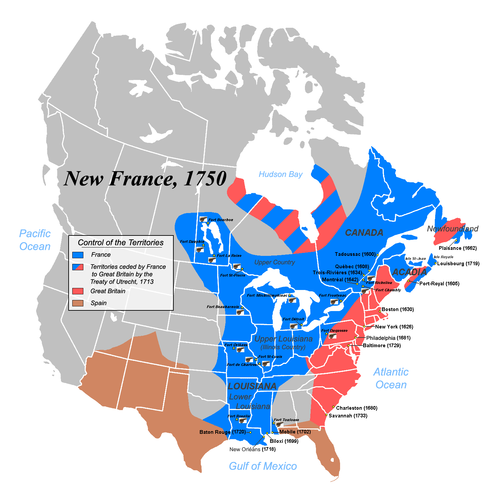 French territory expanded from Canada to the United States. The Huron and Algonquin tribes worked with the French. The tribes helped the French hunt and the French helped the Huron and Algonquin fight the Iroquois tribe, who they were in war with.